We just received this testimonial from a client. This kind of result and appreciation is what makes us love what we do. Keep in mind we have a 98% success rate with the IRS. 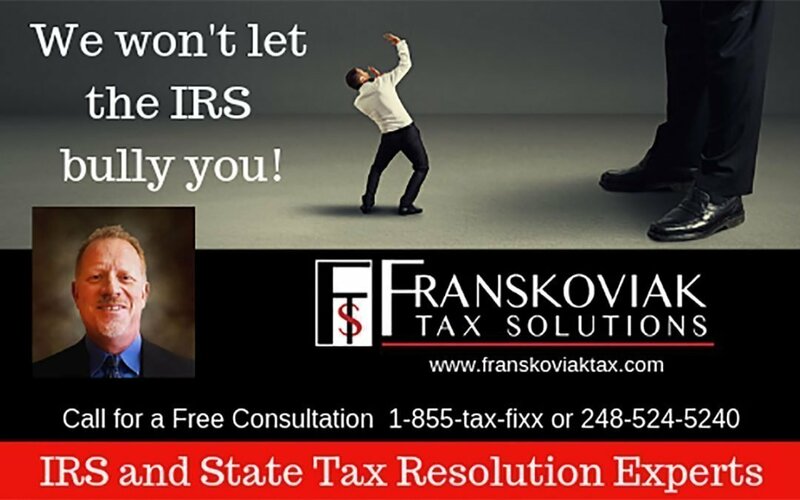 Read more about how Franskoviak Tax Solutions resolved Janet’s problem with the IRS.